Once more unto the Moon — then onward to Mars. Earlier this month, NASA said it was prepared to shift its focus away from Mars, and toward the Moon, whenever the current administration gave the “go” for logistical launch. Now the organization will have to put their plans into motion, because the present administration just announced a renewed effort to get back to the Moon, and beyond. 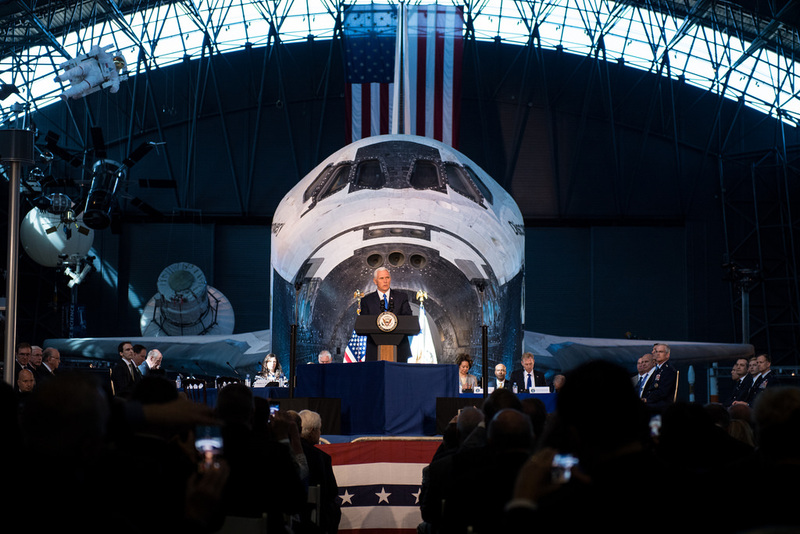 In an op-ed published to The Wall Street Journal on October 4, Vice President Mike Pence explained an executive order had been signed to restore the National Space Council, with him as its head. “On Thursday the council will hold its first meeting in nearly 25 years, and as its chairman, I will deliver a simple message: America will lead in space again,” he said, citing the national space policy’s lack of a coherent vision as the reason the U.S. has been left behind, while countries like China and Russia move forward with their own plans. Pence also explained how desperately the U.S. needs technology of its own in space, to protect its surveillance, communication, and navigation systems from hacking attempts. The ostensible goal is human exploration. However, Pence believes starting with the Moon and establishing a firm presence on Earth’s nearest neighbor, as “a vital strategic goal,” ought to come first. This isn’t the first time the Moon has taken precedence as first step to missions advancing farther into the solar system; in August, former astronaut Chris Hardfield said settling on the Moon should come first, as it would prove we can still get there. The promise is that our travels won’t end there. According to the VP, the U.S. intends to be the first country to send people to Mars. However, the impetus for space expansion here seems to be exclusively commercial, rather than exploratory or scientific. “In the years to come, American industry must be the first to maintain a constant commercial human presence in low-Earth orbit, to expand the sphere of the economy beyond this blue marble, ” added Pence. Within the next few weeks, the administration will form a Users’ Advisory Group comprised of various leaders in the commercial space industry. As its name suggests, it’s largely meant to option the expertise of those whom have been developing new hardware and technology to get people into space, either for learning or commercial purposes. The VP didn’t detail who would be in this group, though SpaceX CEO Elon Musk and Blue Origin founder Jeff Bezos are a couple of people that come to mind; Musk just recently detailed new plans to send people to Mars in 2024, while Blue Origin intends to send people into suborbital space starting next year. It may be some time before we see what the National Space Council comes up with. While NASA has shared its plans for getting to the Moon and Mars, the organization was noticeably absent from the Vice President’s announcement. Critics of NASA’s pattern of incoherent plans to get us to Mars like Dr. Robert Zubrin, former Lockheed Martin Astronautics engineer and president of Pioneer Astronautics, have pointed out that Moonbases and low-Earth orbit missions are designed to diversify mission functions so as to garner funding for under-used or unnecessary departments, rather than actually get us to Mars. If you want to string a rope from A to B, a straight line isn’t best if you’re a rope salesman. 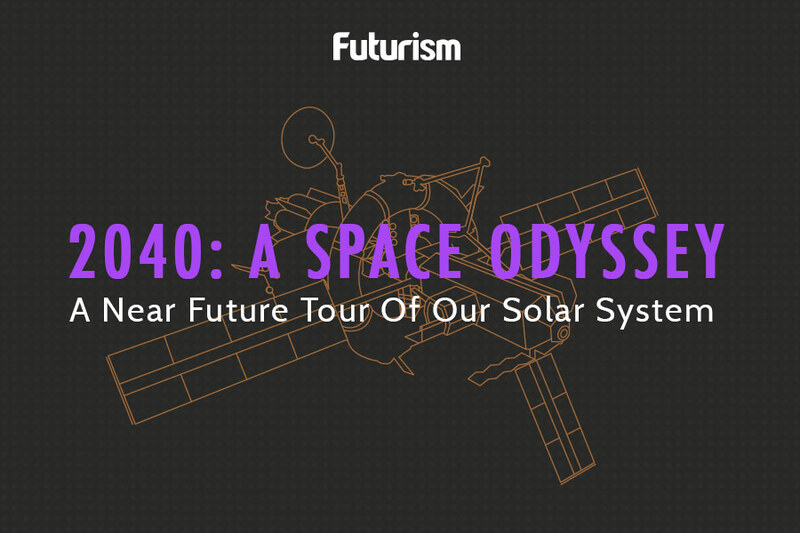 Whether NASA’s absence signifies a change in plans or not, the coming years are sure to be the most interesting in U.S. space travel history since the 1960s.